2018 Flower planters: planted and maintained by WCMSP and funded by sponsorships from local businesses. We are also doing Seasonal Décor in the off season flower planters, Scarecrows for fall, and Winter décor added in November. Mural on Sol De Jalisco, ‘In Bloom’, August 2018: Paint and materials donated by Commercial Coatings Inc., wall donated by Sol De Jalisco, and work done by artist Joe Hamman. Fine Art Piece for Town Hall building, ‘Our Home on the Front Range’ August 2018. 16’x7′ aluminum panel designed by Dynamic Image, and painted by local artist Shandy O. Also repainted the building, and provided the design for updated sign and lighting. New Banner program rolling out in November 2018 uses images pulled from the ‘Our Home on the Front Range’ fine art piece. Christmas Decoration upgrades for 2018, partnering with the Kiwanis club and the Town of Wellington to upgrade decorations for the entry signs, and along Cleveland Ave.
2018 Summer concert series, June 16th, July 21st, and August 18th. This year’s theme of ‘Women of Summer’ brought in music fans from all around, with 6 female led bands, and collaboration of many downtown Wellington business sponsors and vendors. Arbor Day Celebration, April 27th. Worked with Tree Top Inc, the Kiwanis, the Rotary club, and Boys and Girls Club of Wellington for a celebration that included cardboard recycling and fort building, tree education, planting, and giveaways. Historic Walking Tour on June 30th in which Ron Sladek talked about the history of downtown Wellington and the various historic buildings the 25 surveys were done on. Partnered with local businesses on the first Wellington Brewfest, June 2018. WCMSP was the beneficiary of the event, and the income went towards promotion and beautification of downtown Wellington. Shop Small Wellington event on November 24, partnering with downtown businesses and the Chamber of Commerce. Annual Dinner and meeting, November 14th, 2018 at 5:30p at the Leeper Center in Wellington. Partnering with the Chamber of Commerce for the 2018 Business Lighting Contest. New website (www.wellingtonmainstreet.org), Brochure, and Membership stickers. Promotional Video for Wellington: Partnering with the Wellington Area Chamber of Commerce and the Town of Wellington on a video showcasing Wellington. Promotion of downtown Wellington and WCMSP projects in local media sources, both print and online. Participation in the 4th of July parade in collaboration with other Wellington organizations (Chamber, Boys and Girls Club, Mayor and Trustees, Senior Center). Strategic Planning workshop to help us build a 3 year strategic plan and update our transformational strategies for WCMSP, Spring 2018. Pickaxe consultation service to help with branding and marketing of downtown Wellington and WCMSP. June, 2018. 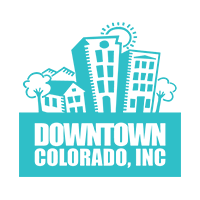 Market Leakage Analysis and Opportunity Assessment: A service to help with strategies to enhance downtown business performance. Fall, 2018. DOLA minigrant for $5000 helped pay for the mural and the fine art projects. Historical building survey on 25 downtown Wellington buildings paid for by a grant through State Historical Fund. Bohemian Foundation Grant to help fund the summer concert series. Applied for an AARP Grant for funding for push button solar power crosswalks. Training Scholarship provided by DOLA ($3,000) plus extra training funds in the WCMSP budget. Training and networking opportunities for the Executive Director through DOLA and National Main Street Program. WCMSP encourages participation in training opportunities, funding attendance by members to trainings related to current projects in Wellington. New Membership program to be rolled out in November, 2018. We will have 2 membership levels, instead of 4, and we will have stronger committee involvement in recruiting members for the program. Volunteer recruitment efforts and better collaboration with local volunteer organizations. Working with the Town on preparations for updating Wellington’s Design Guidelines, and bringing a Downtown Development Authority to Wellington. Issues we are advocating for the town to address: ADA accessibility for sidewalks and crosswalks, adding push button crosswalk lights to higher pedestrian traffic intersections, and advocating for improvements to the drainage issues that cause flooding in downtown businesses during heavy rain. Historic Survey completed on 25 downtown Wellington buildings, paid for by a grant through the State Historical Fund. Copies of the survey were given to building owners, the Wellington Library, and are in the WCMSP office and our website. Working with the DOLA architect on ideas for renovations for downtown Wellington buildings, including upgrades to Town Hall. 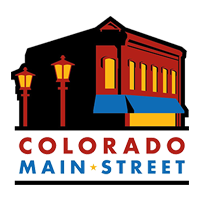 CDOT installed Colorado Main Street signs on either end of downtown Wellington due to our status as a Designated Main Street community. Working in collaboration with the Town of Wellington and the Chamber of Commerce in addressing Economic Development Roles and Responsibilities for Wellington. Special thanks to the Town of Wellington for their continued support of the Main Streets Program!